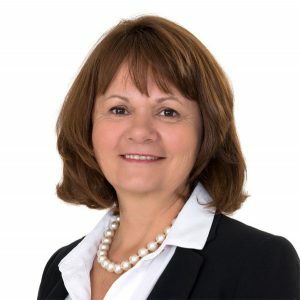 With more than 30 years of experience in the field of market access for innovative health technologies, Sylvia Germain is the Founder and current President of SGE Consulting, a simplified joint stock company created in July 2016, with more than 30 years of experience in the field of access to the market for innovative health technologies. The creation of SGE Consulting was motivated by the identification of various needs in the market access sector for innovative health technologies through multiple exchanges and meetings with industry, expert users and passionate decision-makers. Health technologies include medical devices, DMDIV, software, connected objects and others and are associated with a wide and complex field of development activities: clinical, marketing, reimbursement, monitoring and post-marketing follow-up. The complex and evolving environment in which healthcare technologies evolve, as well as the multitude of market access channels, early and sustainable reimbursement, force players in the sector to identify at a very early stage the opportunities most suited to their technology. The experience acquired in the exploitation of the diffusion of percutaneous aortic valves in France has enabled the actors in the sector to better understand the expectations of health authorities. Over the past 10 years, two first national successes of derogatory and temporary care with the first devices, known as “rupture” devices, have been achieved in France. It is this outcome that has marked the strong interest in the development and diffusion of innovative health technologies. Interest in innovation support mechanisms was subsequently confirmed in France with the creation in 2014 of Article L 165-1-1-1 of the Social Security Code relating to the innovation package for an epiretinal prosthesis. In this context, SGE Consulting, with its multidisciplinary team and partners, supports manufacturers and distributors of innovative health technologies to develop specific and adapted reflections in the context of their clinical development and implementation activities and then dissemination on the market.